The unexpected news that Jan had Down syndrome, caused his father put to blog and to record your child in order to share and to overcome their fears. The documentary tells a story from the privacy of overcoming and acceptance. 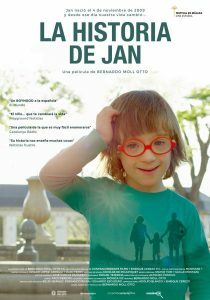 Through the sense of humor, effort and love for Jan, her parents seek to normalize and give visibility to the unknown world of disability. Production Co: Bernardo Moll Otto P.C. / A Contracorriente Films / Enrique Cerezo P.C.